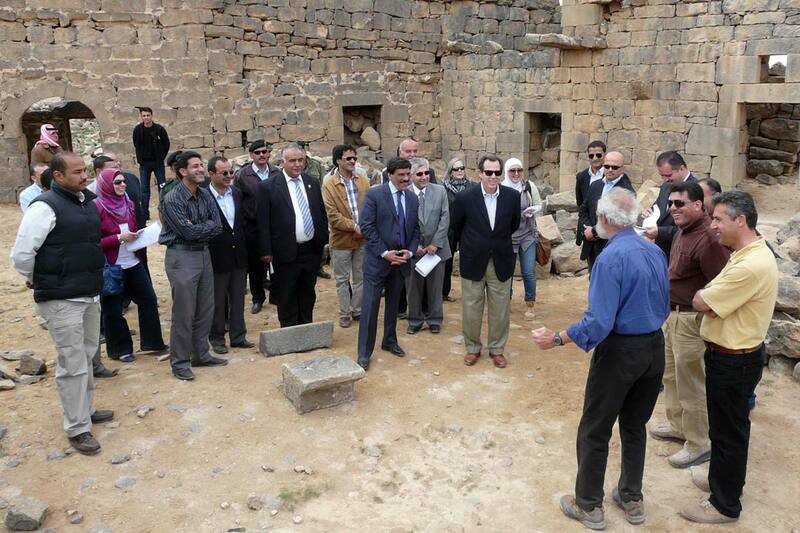 On Thursday morning, April 19, US Ambassador Stuart Jones and his entourage visited Umm el-Jimal to celebrate the official opening of the House XVII-XVIII Preservation Project, for which the main funding comes from the AFCP, the U.S. Department of State’s Ambassadors Fund for Cultural Preservation. Because we’ve already done eight weeks of field work we could use the occasion to show off the tremendous progress we’ve already made. 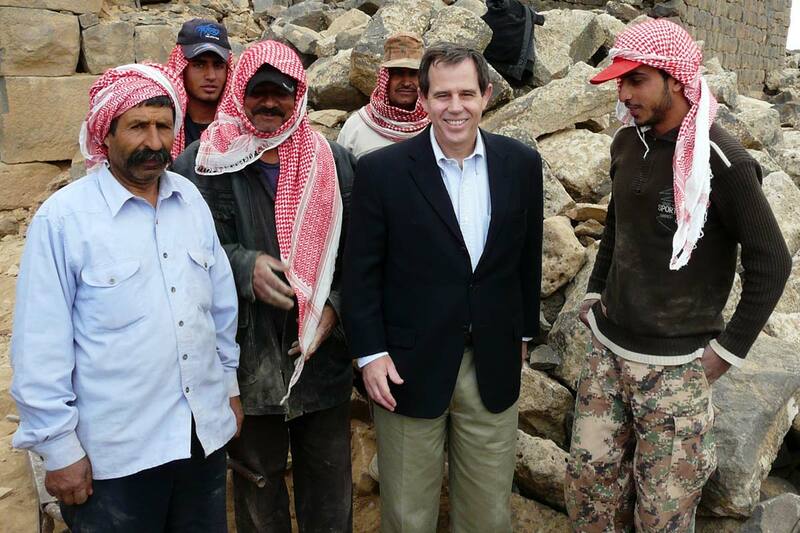 Over thirty invited guests and about twenty security—American and Jordanian—attended the site tour and reception. The whole thing was a joint effort, initiated by Anneliese Reinemeyer, US Embassy Cultural Affairs Officer and Reem Abdul Hadi, her assistant, who worked with me to prepare the guest list. Project archaeologist Muaffaq Hazza’a helped me with setting up the reception and getting the juices and pastries we served at the project house. The amazing aspect of this visit was that the guests represented all the significant groups associated with Umm el-Jimal Project: the US Embassy, six persons; the local Jordanian community, five community leaders, including the regional governor and acting mayor; Yarmouk University Archaeology Department, five persons, all project specialists; Department of Antiquites Amman, four, including the acting Director General; DoA Mafraq, three, including project engineer Na’il Tuhamer; ACOR, four, including Director Barbara Porter; the Umm el-Jimal Project, three. Calvin College and Open Hand Studios were represented by me. The tour was successful in staying on schedule and conveying of the right mix of general UJ and the specific House XVII-XVIII Project; a successful afterthought was a stop at the great reservoir with a description of the USAID water storage repair project of the late 1950s. 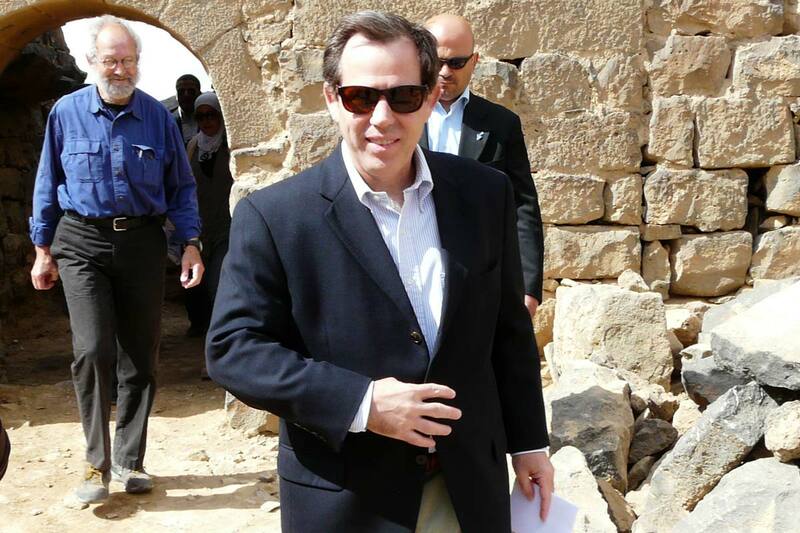 The ACOR group also visited our landlord Sultan es-Serour’s nearby farm for camel petting. 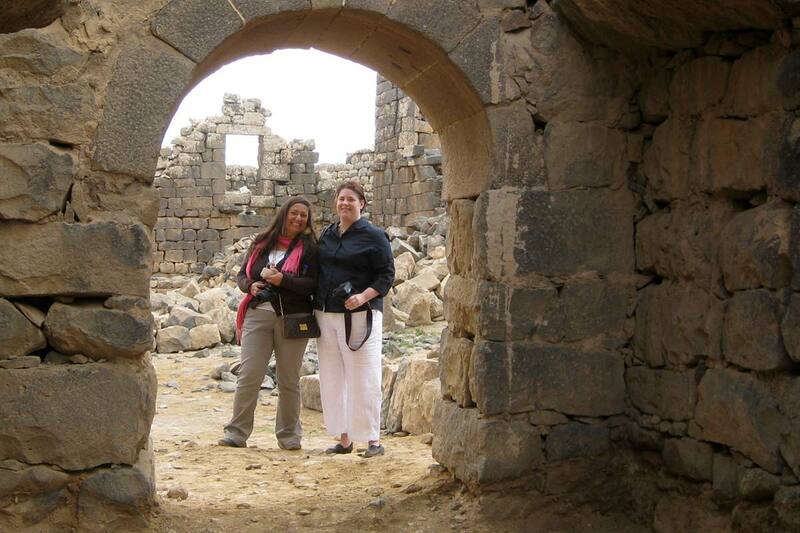 This day wasn’t just about the conservation of an ancient structure. It was about the bridging of living cultures, the bonding of communities, and the forging of friendships. Photography by Barbara Porter and Muaffaq Hazza.